The Asics Gel Blast 7 started to come out in August 2016. 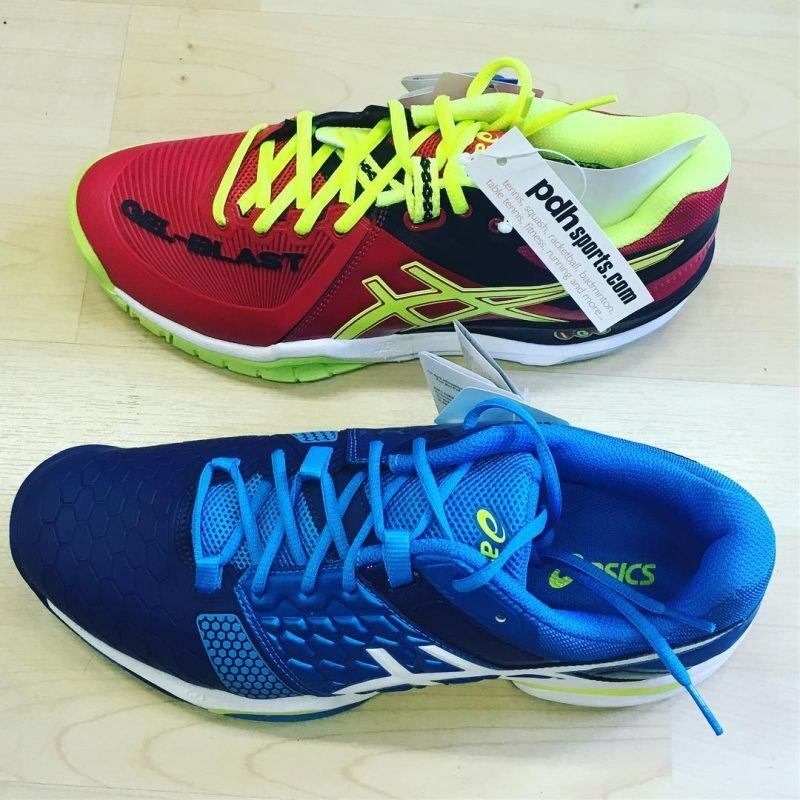 These are the successors to the Asics Gel Blast 6 and have been given a (nice) facelift. Update: The successor to this shoe is the Asics Gel Blast FF. Asics did not make an Asics Gel Blast 8. 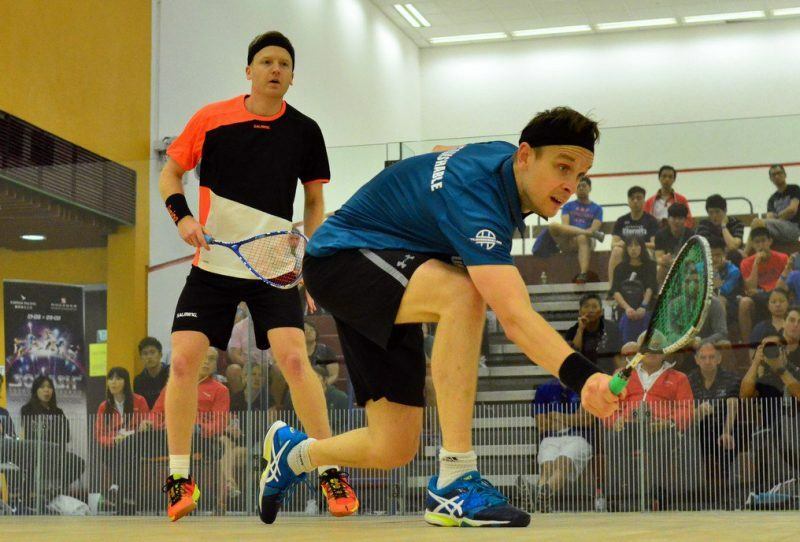 The story so far: Asics Gel Blast 5 and prior were very popular with squash players. 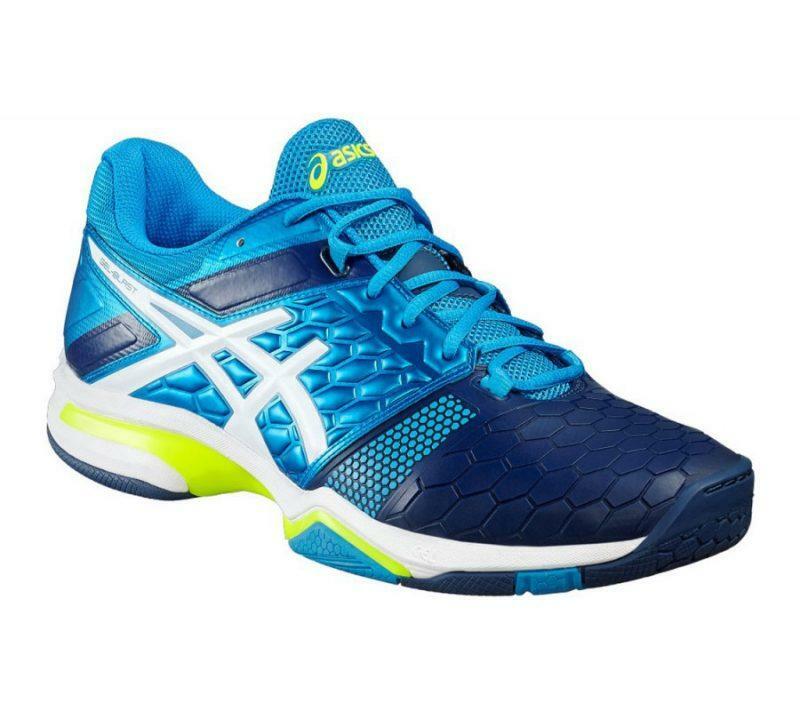 When Asics came out with the Gel Blast 6, they made significant changes, and a lot of squash players were sad. Many Blast fans switched to the Asics Gel Fastball. 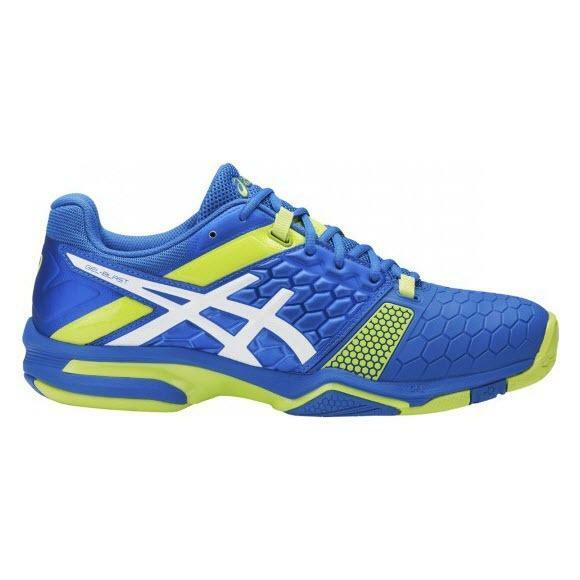 This long awaited shoe is worth waiting for, for those who loved their blast 4’s and blast 5’s the new 7 will surpass your expectations , Asics has gone back to the traditional styling of the previous models will providing superior durability and quicker cuts arouind the court. Also see this discussion on Reddit. Here’s an in-depth look at the shoe. Too bad you don’t speak Spanish. Rouge Red, White and Prune. Spotted May 2017. This one’s called blue jewel, white and flash coral. It’s listed as a men’s shoe as Zalando but on other sites as a women’s model. Based on the colors and other shoes from Asics, I think it’s a women’s model. 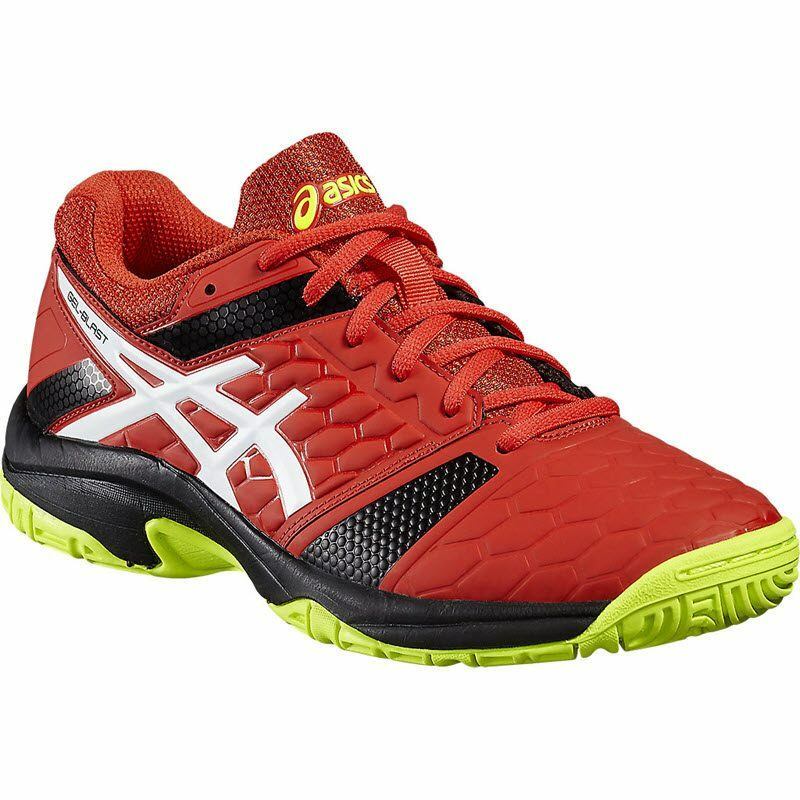 The junior version is called the Asics Gel Blast 7 GS. Thanks to Nawar, Jim, Darrell, and D-Man for the tips! It’s frustrating how difficult it is to find pairs of the Gel Blast 7 these days in my size (10.5US) or any size, frankly. They have been my favorite, but discontinued so quickly. I am trying a pair of the new FFs, but am already noticing wear on the sole after just a few uses whereas the Gel Blast 7s held up for quite a long time. Oh well. I have been playing on these shoes for the last year. Can’t say that I’m very enthousiastic about them. 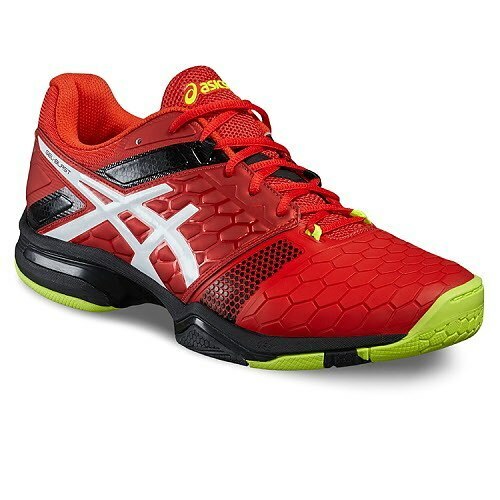 I’m convinced that there is a good squash shoe for everybody, but this one just doesn’t fit my style. 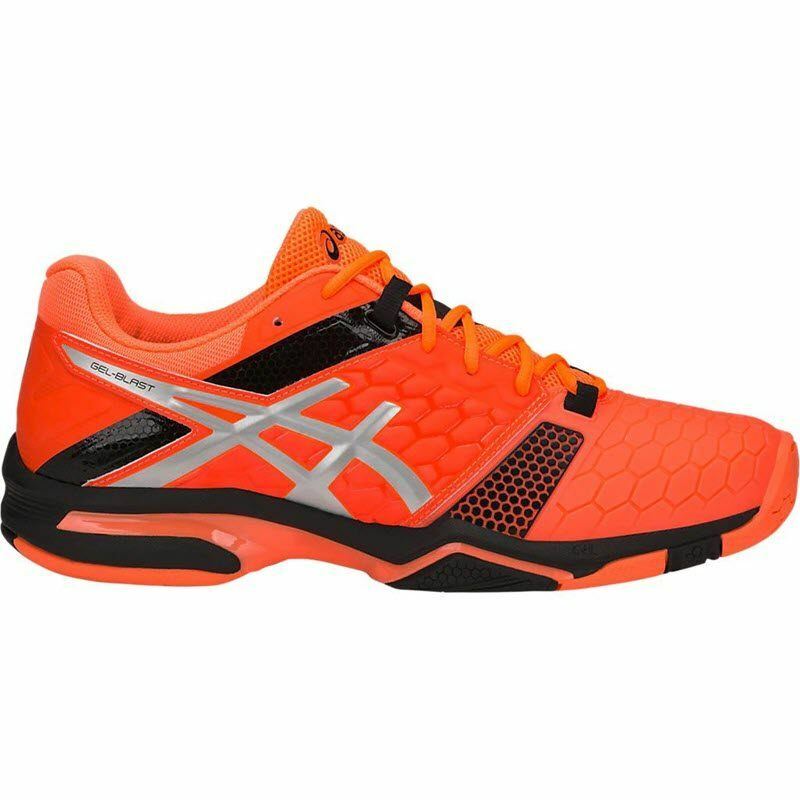 My weight is about 77kg and I move quite fast and athletic around court so I look for traction and agility in a light weight shoe. If that’s what you’re looking for then look elsewere for shoes. The Blast 7 offer great stability at the cost of weight. Their cushioning is excellent but they could be more “grippy”. I wouldn’t buy them again and I wouldn’t recomend them to fast moving players. I completely agree. I weigh 72kg and these shoes are a bit heavy for me and affect my movement. After about 7 months playing 2-3x a week, the durability is pretty decent. The grip is still good but the inside toe area of the sole is completely worn down now – not surprisingly since it’s my drag foot. So I don’t think they’re a great squash shoe either. Looks like Willstrop is wearing something else in Nantes – can’t quite make them out, Salmong maybe? I love these shoes. I love them! I’ve used these, the Race X shoes, Race R9s, Asics Fastball 3s, Salming Vipers and the Eye S-Line shoes. I like squash shoes. And of all of them, this and the Race X are tied for my favorite shoes. I would actually like the Race X more, but it’s not as durable, so I use the Gel Blast 7. It’s pretty cushioned, but not as cushioned as the Race X. Still, it’s more than enough for me. It also feels pretty light on foot. I don’t know the actual weight, but for me it feels lighter than the S-Line and a bit heavier than the Fastball 3s. It’s made of a rubbery plastic material that gives the shoe a ton of support, and durability. It isn’t a mesh, so this thing can take a beating before it wears through. A huge problem I had with the Race X was that there would be a hole in the inside part of the shoe. This problem doesn’t exist with these shoes because the material is much more durable. That being said, if your feet get hot, I wouldn’t recommend these shoes. They aren’t very breathable, but for me that is a non-issue because my feet never really get too hot. They are very grippy. I’ve not once had an issue with slippage on court, but that goes with all the other shoes I’ve tried so maybe the courts I play on are just grippy. The fit for me is perfect. I’m a US 9.5, got a US 9.5 and it fits better than any other shoe I’ve ever tried on in my life. This shoe is the truest true to size that exists. Every time I try a new shoe like the S-Line or recently the Fastball 3s, I go back to this shoe. The S-Lines were too heavy and large for me, and the Fastball 3s aren’t supportive enough around the sides. 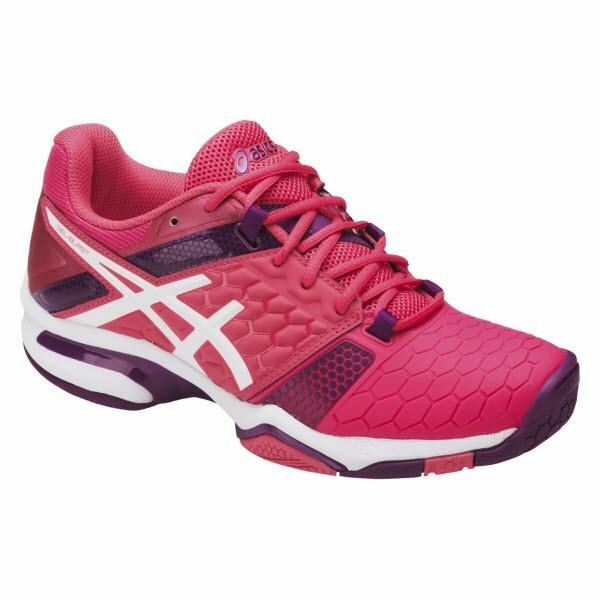 The Gel Blast 7 seems to have hit a perfect balance between support, cushion and lightness, all the while having excellent durability. A lot of other people seem to be having issues with durability, though. Maybe I’m just a bit lucky, but I play 6 days a week for ~2 hrs/day and they’re still holding up very well. purchased the red shoes, been playing with them for over 1.5 months. initially shoe was very tight, took 2 weeks to loosen, perfect fit, i would not advise anyone with wide feet to purchase these shoes, they appear to be designed for narrow feet. i need lots of cushioning on my heel, shoes have great cushioning, do not find them heavy, find laces too short. 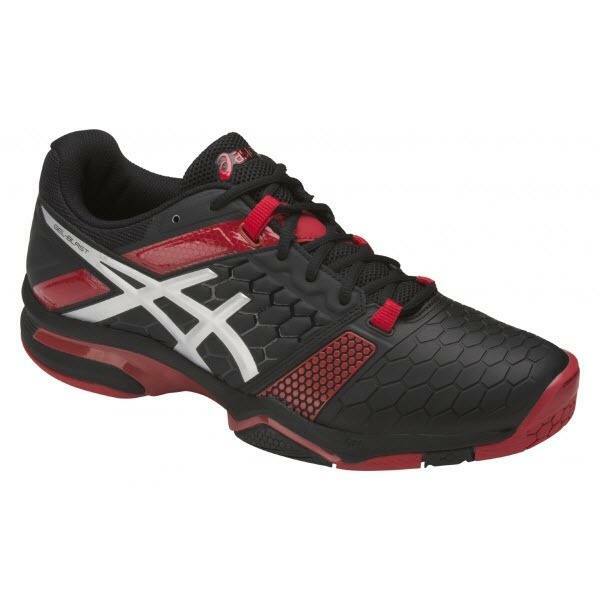 these shoes replaced asics domain, they are way better, domain was stiffer shoe. would reccomend. It's a nice looking shoe. But after having a pair of the red ones, they aren't as durable as the gel blasts 5, and are a bit heavy. I think I'll pass on Asics offerings. Gel Blast FF spotted at PDHSports…is this the shoe we’ve all been after since the Blast 5?! Can anyone advise which of these is a better shoe, in terms of durability and comfort? Asics Gel Blast 7 OR Asics Gel Fastball 3 ? 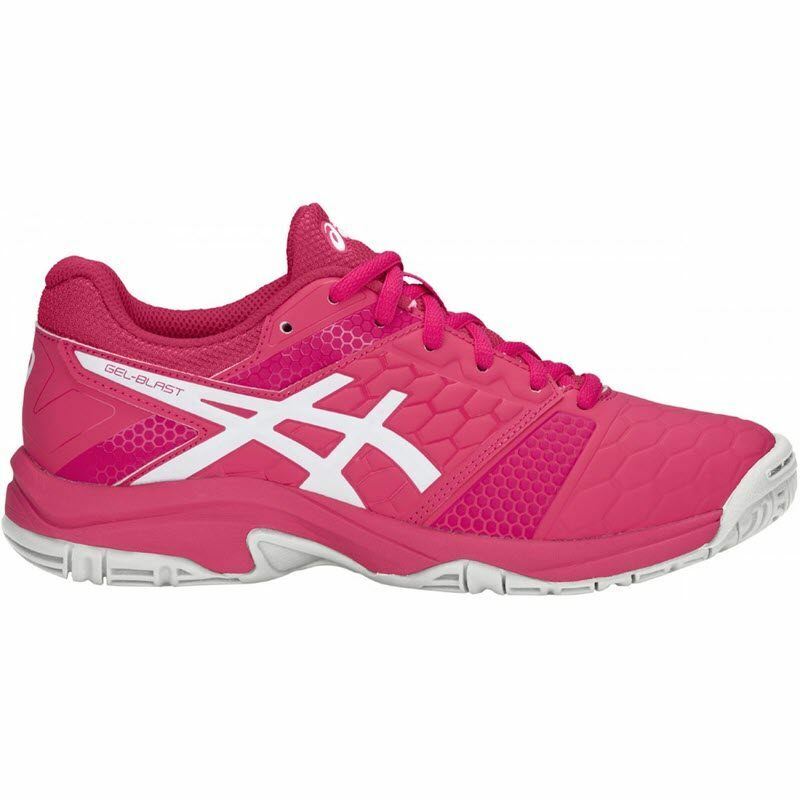 Asics Gel Blast 7 is better : double cushioning and more durable. Enhances rearfoot to forefoot transition upon jumping, maximizing power, and acts as a rearfoot stabilizer upon landing. Anatomically correct lacing environment that reduces potential for irritation and provides increased comfort and fit. 2 layers of memory foam line the collar and mould to the athlete’s heel, creating a personalized fit. Based on the movements of the foot and the taping technology used by Indoor athletes, this technology supports the midfoot during fast movements and jumping. The strategically placed wraps will guide the foot to a powerful re-supination. I have owned both shoes. The Blast 7 definitely has more cushion but the Fastball 3 is lighter and more nimble. I prefer the Fastball 3 personally as it is cushioned enough for me but has the weight advantage and actually lasts better (the Blast 7 sole wears out in the front). Also note that the Fastball 3 also has “double cushioning” (both rear and forefoot), though it is probably not as much as in the Blast 7. Not sure why I can’t reply to your post so replying to mine. Both shoes are similar in width. Also note that both shoes do stretch when they get worked in. I do recall them feeling tight at first but that changes over time and I find myself tying them tighter over time. Good cushioning, Surprisingly light, good padding and excellent gripping. highly recommend those to any pro player… it’s been 2 months am using those pairs playing 4-5 times a week.. no blisters till now! it works perfectly with Karakal X4-Technical Ankle Sock. Previously used the Adidas Court Stabil shoes versions 10,11,12&13. Really liked these shoes…while they lasted. Not sure if they called them the Gel-Blast 7 because they only last 7 weeks, but it seems that way. Very bizarre considering that my last pair of Gel Rockets lasted me close to 2 years. I’m not exactly sure what compound they used for their rubber sole, but there’s no grip left on the front, inside portion of either shoe, and my left shoe has an obvious hole where there’s no longer any rubber. I’m just happy that I got these on sale because I’d be pretty upset if I had paid more money for them. I guess they’re just going to be my backup pair and I’ll be switching companies if this is the best that Asics can do. I should point out that I’m a runner, but I still expect a pair of shoes that retails for close to $200 Canadian with tax to last a bit longer than 2 months. A more traditional player would definitely have these last longer considering that from the ball of my foot to the heel, they still look brand new. They just clearly weren’t designed to have a player that pushes off of their toes, laterally. I bought a red pair of these in October. They’re stable, and I do like the feel of them even if they are a little heavy and warm. But, I play about 3 times a week and these shoes are basically destroyed by the end of January. Factor that I was gone for three weeks in November and didn’t play for a week over Christmas and I would give these an F in durability. Both shoelaces broke within two months, both soles are worn through, the rubber on the front of my shoe is gone, and the front stitching is coming lose. I don’t play extremely competitively and these should’ve held up much longer. My previous Mizunos lasted 2 years and showed little wear. I even had a pair of Adidas running shoes last longer when I first started playing. With two months left in the season I’m ready to throw them in the trash. Do you think the durability of blast 6 and 7 were affected by the plasticky materials used on the shoes? Older Blast 3,4,5 seemed very durable with more cloth-like materials. The part that failed is the yellow outsole. The hexagon rubber stuff in the vamp held up great for me. I’d understand if just one thing wore out on them but the fact that laces and insoles can’t last half the life of a shoe is a sign of poor quality control or extreme cost cutting measures. I got the Gel Blast 7’s back in June before the official release in most countries. They were for an uncle of mine who trusted I’d get him a good shoe. Seeing the pros coming out with GelBlast 7’s at recent tournaments reassures me that I made a good decision. 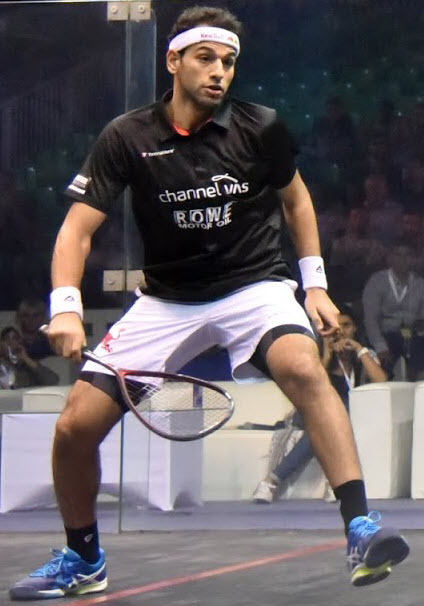 Mohamed Elshorbagy is now wearing these. Would ask him why he switched from the Fastball but he doesn’t reply to my DMs. Thanks D-Man, I updated the post! Hi guys, bought the new blast 7’s last week, will be trying them out this morning. For reference, I’ve previously used (in order) Asics Rocket, Progressive 2, Fastball (current). I’ll report back later with a quick review. I just bought a pair of these. they seem to look a little weird to me. the front tip of the shoe is not exactly in the middle like most shoes. for the right shoe for example, the middle tip is a little to the left and vise versa for the left shoe. is this on purpose? I got these for Canadian dollar 149 … but they are amazing in all respects…. A squash pro friend of mine says these are not squash shoes. 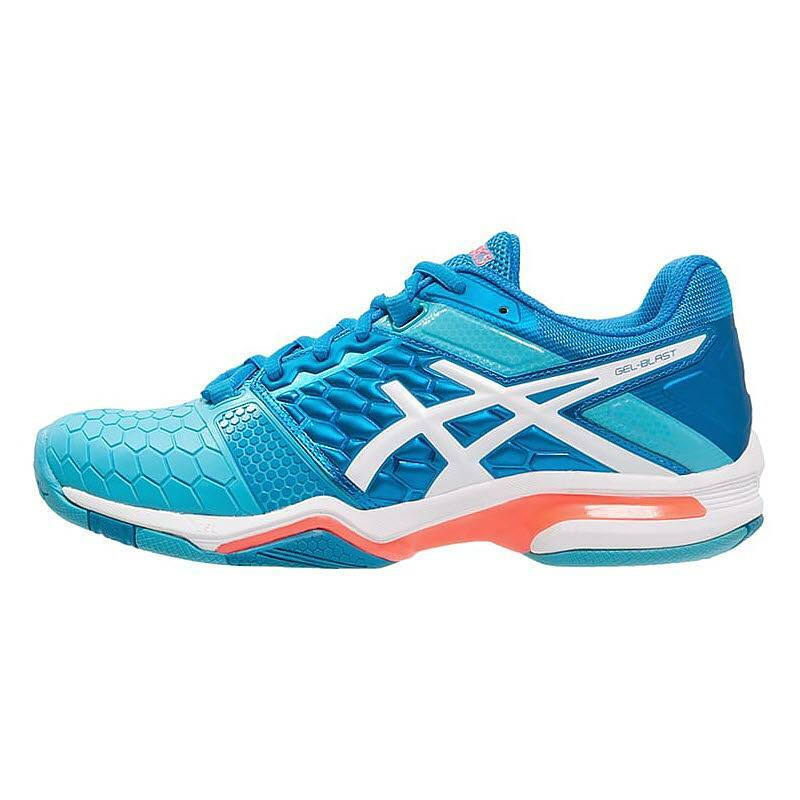 There’s not much info in the Gel Blast 7, most refer to it as a court shoe. Are you (or anyone) able to shed some light or share the experience playing with these? 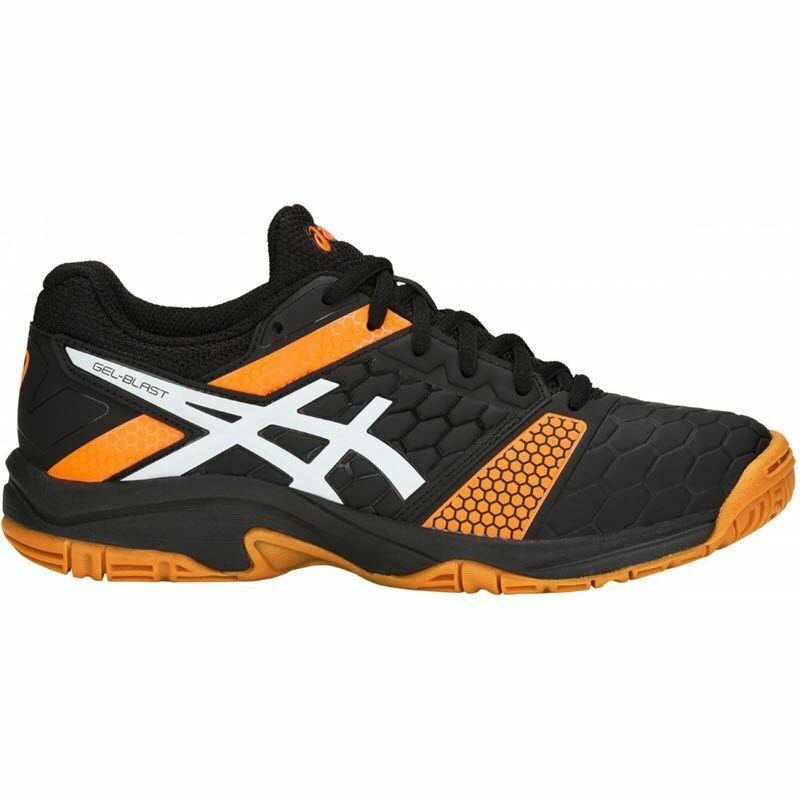 It’s technically true — Asics do not make squash shoes, they make shoes for handball, volleyball, and badminton. 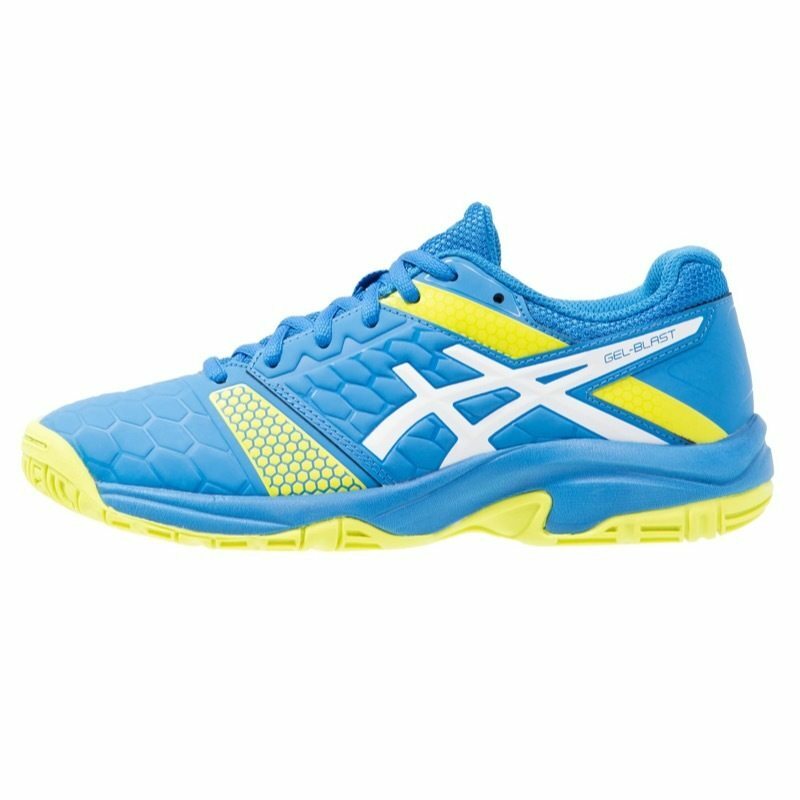 According to Asics, the Gel Blast range is supposed to a handball shoe, but they are appropriate for squash courts, meaning they are non-marking. 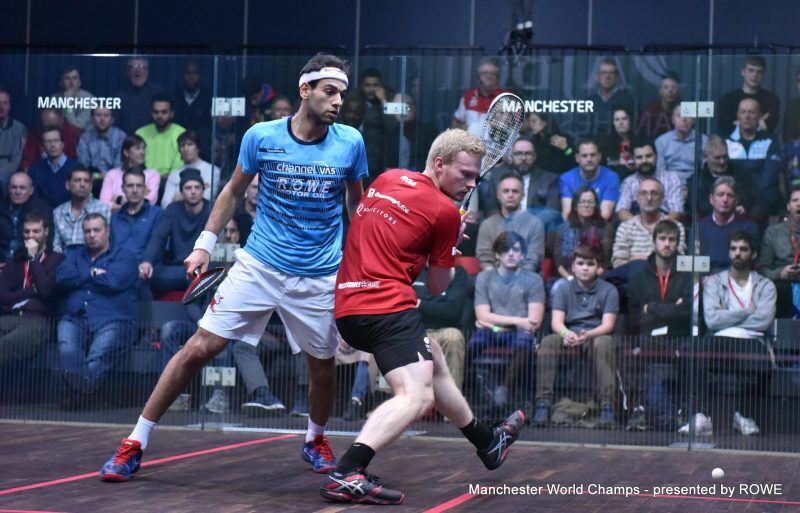 Squash players have used them before (e.g. Mathieu Castagnet has worn the Asics Gel Blast 6). I haven’t seen anybody wearing the Gel Blast 7 yet, but it’s pretty new still, so hopefully we’ll see some feedback in due course! Top and middle left are actually Blast 4, but yeah, he seems to like that shoe design as he was using the Blast 5 even this year, two years after they stopped making them. Now that the Blast 7 has been shipping for a couple weeks, has anybody actually tried out a pair and is in a position to give a review? Normally, I’d have been all over the Blast 7’s but having used the Fastball last year, I am not sure I could go back to a heavier shoe.